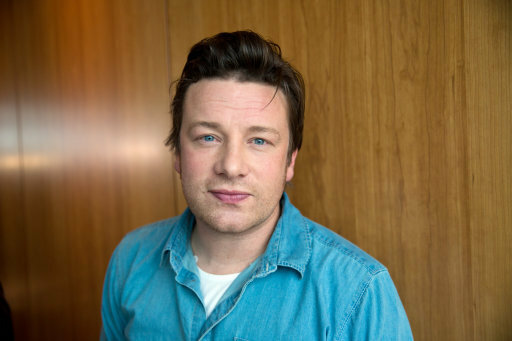 It’s safe to say Jamie Oliver isn’t the nation’s favourite man at the moment, thanks to his successful lobbying for a sugar tax, as well as his suggestion to ban cartoon characters on cereal boxes. He’s been the subject of much abuse for being a national ‘party pooper’, while on a crusade to make sure the nation has a healthier diet. So when Jamie tweeted asking everyone what their favourite go-to breakfast was, the internet responded in typical fashion by absolutely roasting the TV chef. Things started out innocently enough, with people responding to his query with sincere and well-thought-out answers. But this is Twitter, and it wasn’t long before things devolved into a series of hate-filled expletives about Jamie’s campaigning. Eggs softly scrambled in homemade lightly-salted butter, topped by slivers of the best smoked salmon Scotland has to offer with a sprinkling of finely-ripped coriander on well-toasted self-baked sourdough. Serve with cool cranberry juice with strong espresso to follow! Eggs softly scrambled in homemade lightly-salted butter, topped by slivers of the best smoked salmon Scotland has to offer with a sprinkling of finely-ripped coriander on well-toasted self-baked sourdough. Serve with cool cranberry juice with strong espresso to follow. Mmmmm! Wow. Mark guy really likes his breakfasts. Hmm, it feels like that guy loves Turkey Twizzlers as much as the first guy loves his breakfasts. STOP TRYING TO BAN EVERYTHING AND BUY SOME SODDING PLATES TO USE IN YOUR RESTAURANTS YOU WOODEN BOARD LOVING TURKEY TWIZZLER HATING TWONK! Others were so protective of their breakfast staples, they didn’t want to reveal to Jamie their preferred meal in case he banned them, along with everything else. A vocal campaigner for the tax on sugar and fizzy drinks, Jamie won’t give up until he sees absolute change. He’s calling for a ban on junk food adverts before 9pm and to stop energy drinks being sold to children across all supermarkets. The ground-breaking sugar tax on soft drinks came into force in the UK on April 13, meaning manufacturers have to pay a levy on high-sugar drinks being sold. Drinks including Fanta, Ribena and Lucozade have cut the sugar content, but Coca-Cola has stayed the same. He says he aims to use social media to promote his new ’11-point manifesto’, which covers everything from food labelling to GP training, and advertising campaigns. According to iNews, he told the UK Health and Social Care Select Committee the ‘future of the NHS’ is at stake if the government don’t clamp down on cereal advertising. With this campaign, Jamie can’t seriously think he would’ve gotten away with those tweets, can he?